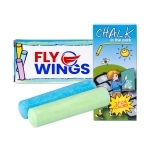 The custom 2 pack jumbo pack is a boon for those who entrepreneurs who are searching for a cheap brand promotional item. 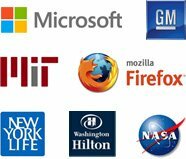 The brand promotional freebie should be such that it must motivate the user to recall your brand name. This happens only when you gift them something that is useful for them. 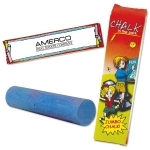 The promotional 2 pack jumbo pack measures 4 1/4”x 1 7/8”. 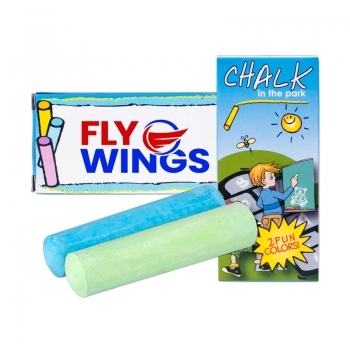 The sidewalk chalks are available in assorted colors and you can make a selection based on your marketing strategy. 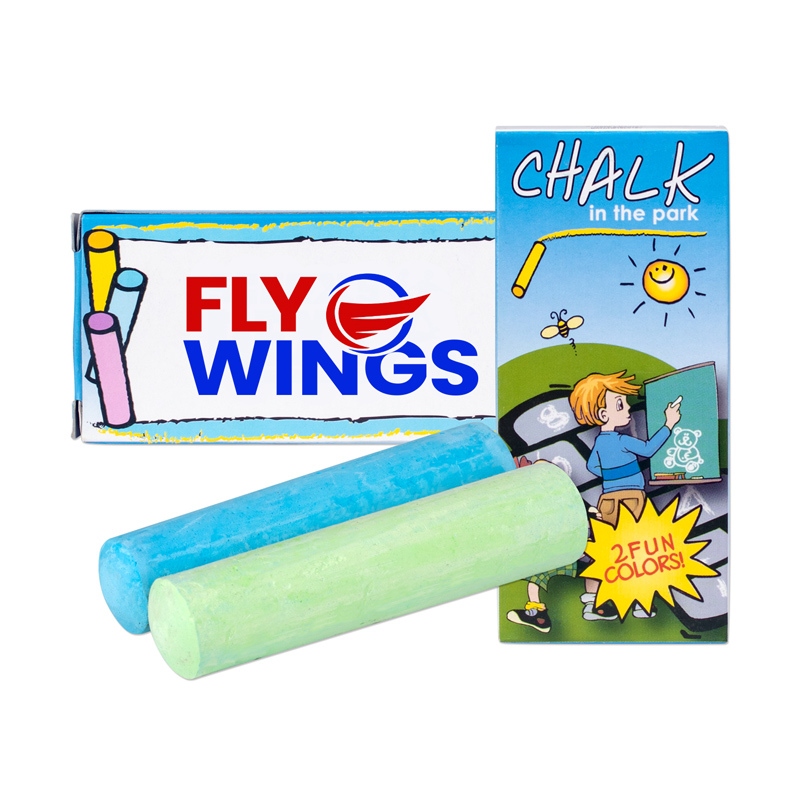 The customized 2 pack jumbo pack is CPSIA approved and it includes 2 chalk pieces. 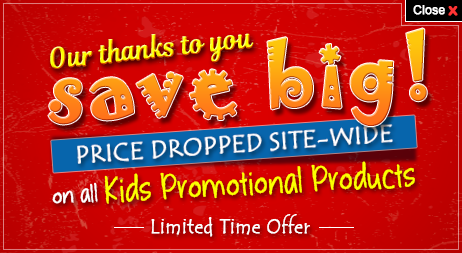 These are ideal promotional gifts for trade shows and conventions. Imprint Area : 2" X 1 1/2"
Product Size : 4 1/4" X 1 7/8"